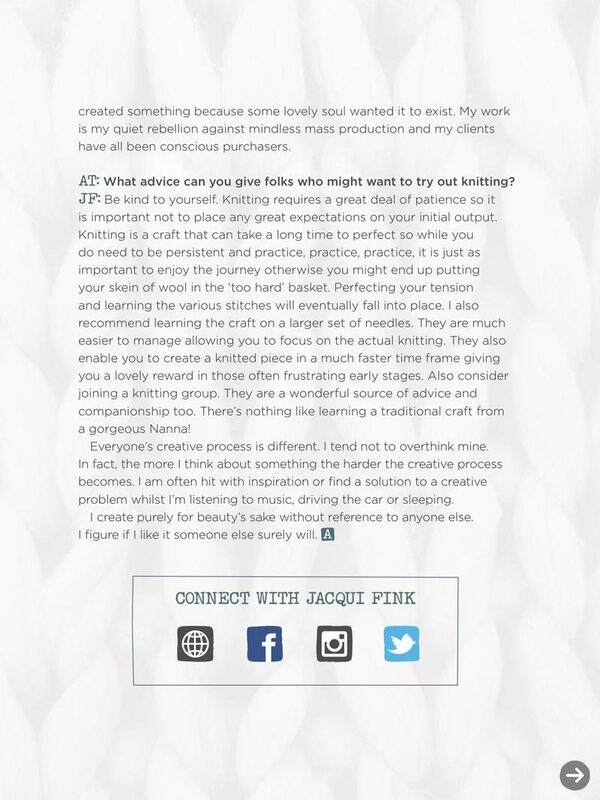 A comforting craft: A meeting with an inventive knitter leaves the Artisan Team curious to try out this calming and peaceful craft. 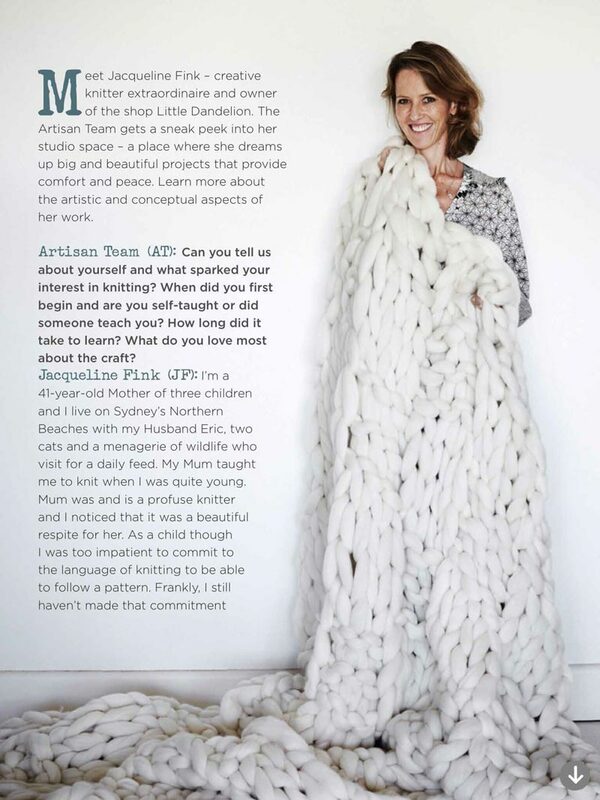 Meet Jacqueline Fink - creative knitter extraordinaire and owner of the shop Little Dandelion. 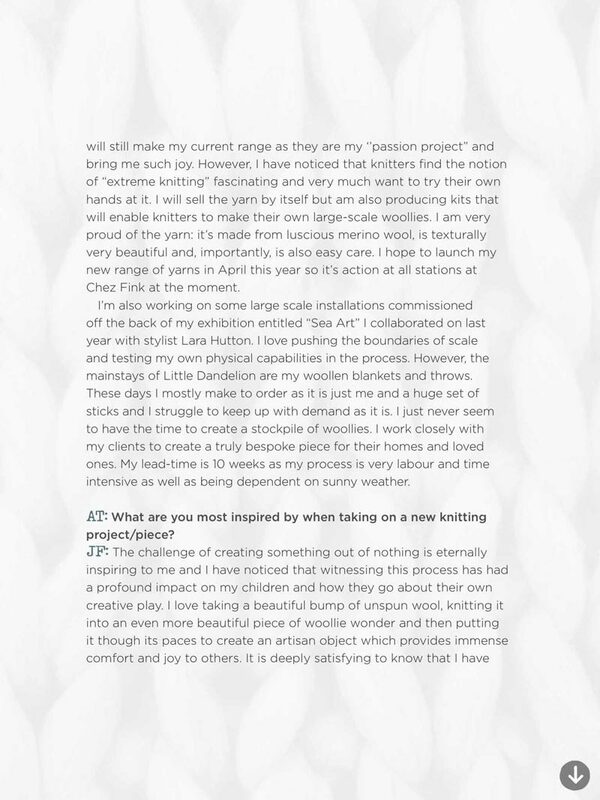 The Artisan Team gets a sneak peak into her studio space - a place where she dreams up big and beautiful projects that provide comfort and peace. Learn more about the artistic and conceptual aspects of her work.